Our cattery is located in Russia. Solyaris registered in TICA, CFA, WCA. 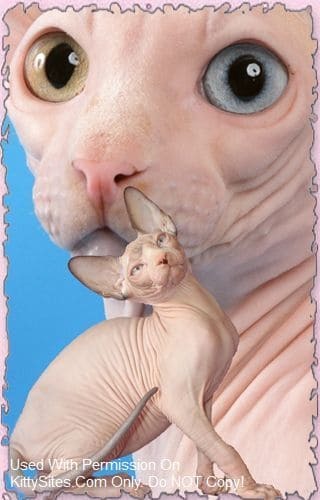 On our website you’ll see elite representatives of cat world – Canadian Sphynx. 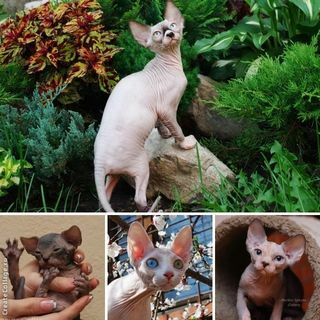 Cattery “Solyaris” offers kittens of the Canadian sphynx different color Odd Eyed and as others color point and mink and traditional. Our kittens are fully vaccinated and micro chipped before leaving our home. Our kittens live in different countries Malta, Thailand, England, France, Italy, Spain, Sweden, Denmark, USA and others countries. Written health guarantee: FIP, FeCV, FIV, FeLV and HCM. Best wishes from Merloni Sphynx Cattery! We located in Russia and offer kittens from parents of the best blood lines of Europe, USA and Canada. In our cattery we have kittens of rare and traditional colors, show and breed quality. All our breeding sphynx cats scanned for HCM and tested on FeLV/FIV/FIP. Each kitten has micro chip, registration papers (pedigree and owner certificate), veterinary health certificate and contract. Our kittens live in different countries. We can offer the worldwide shipping to any point of the world.